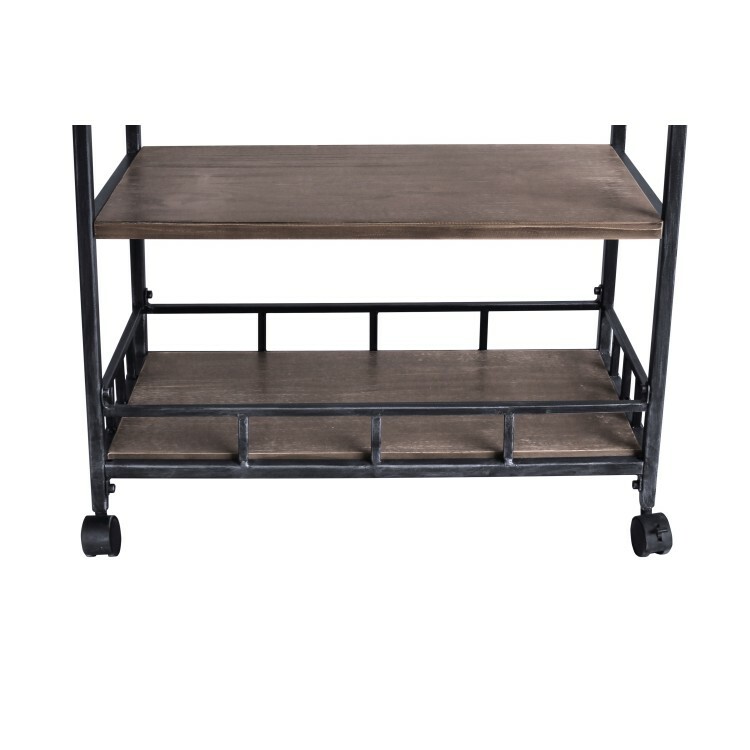 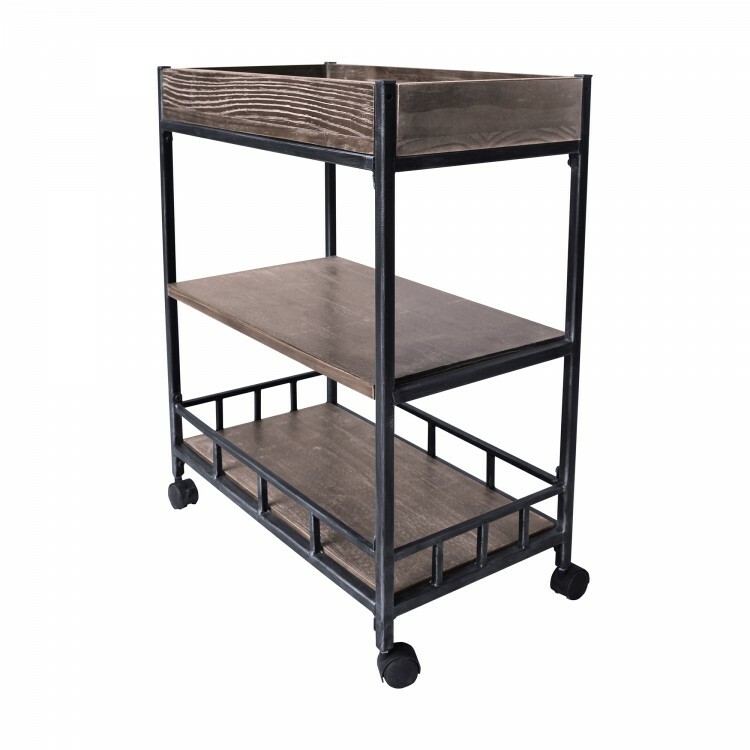 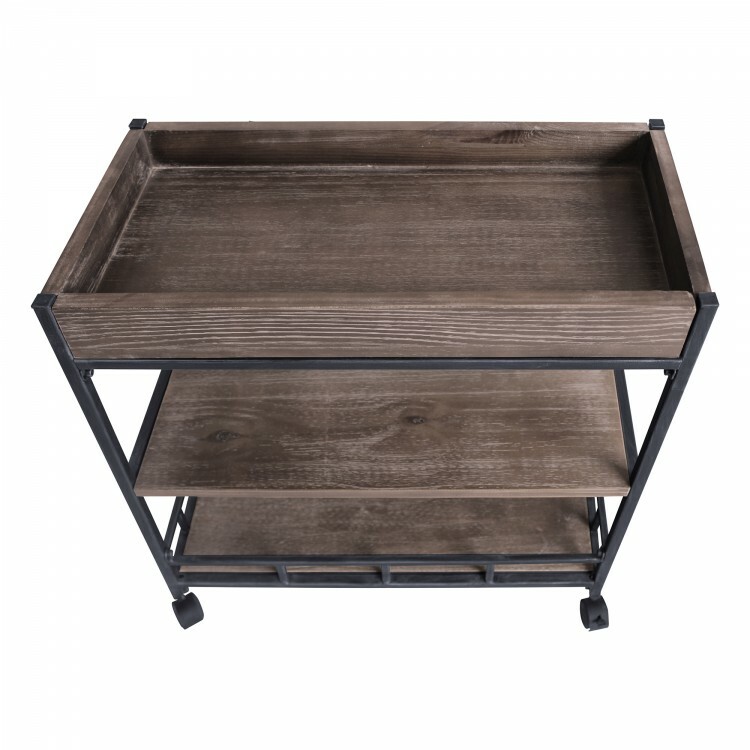 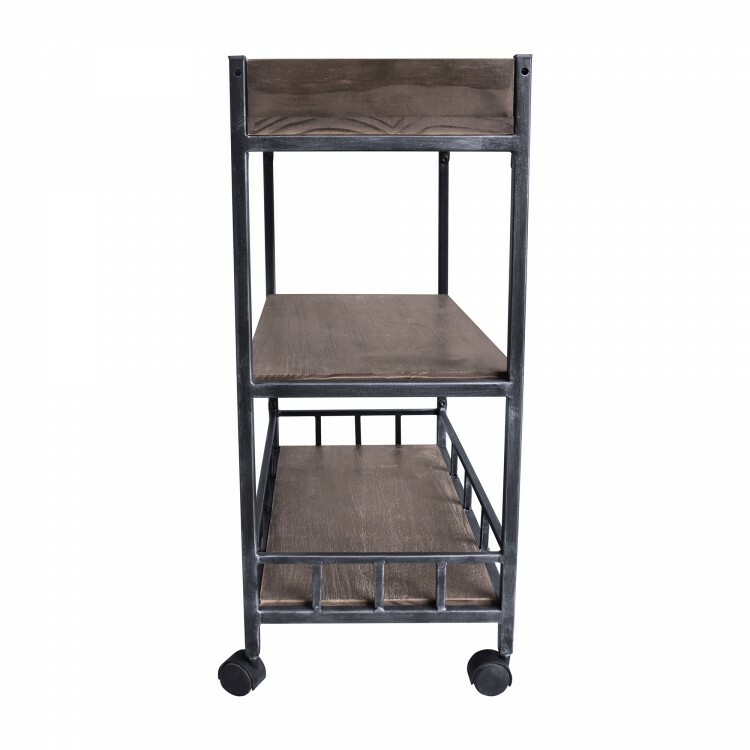 The Armen Living Niles industrial multi-purpose cart is a terrific choice for the contemporary household. 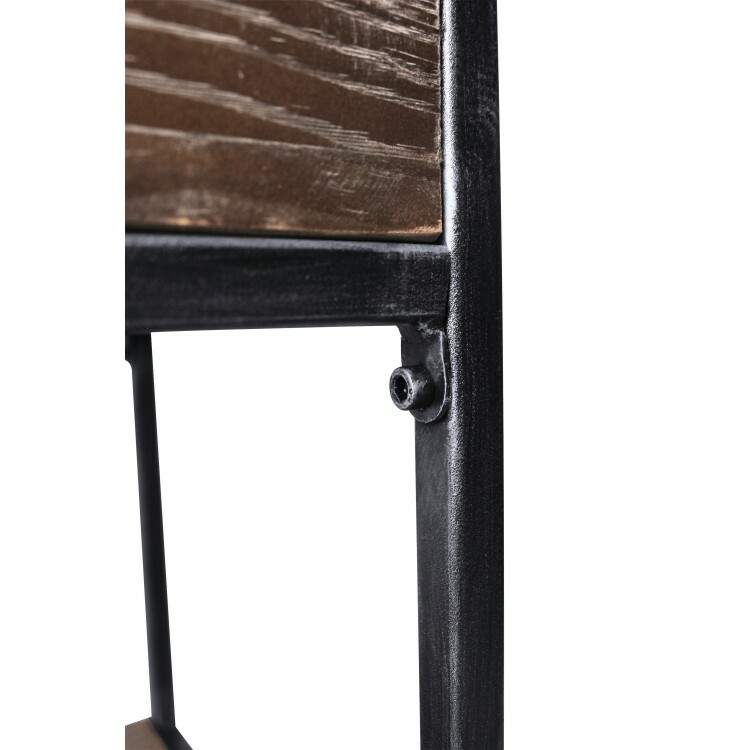 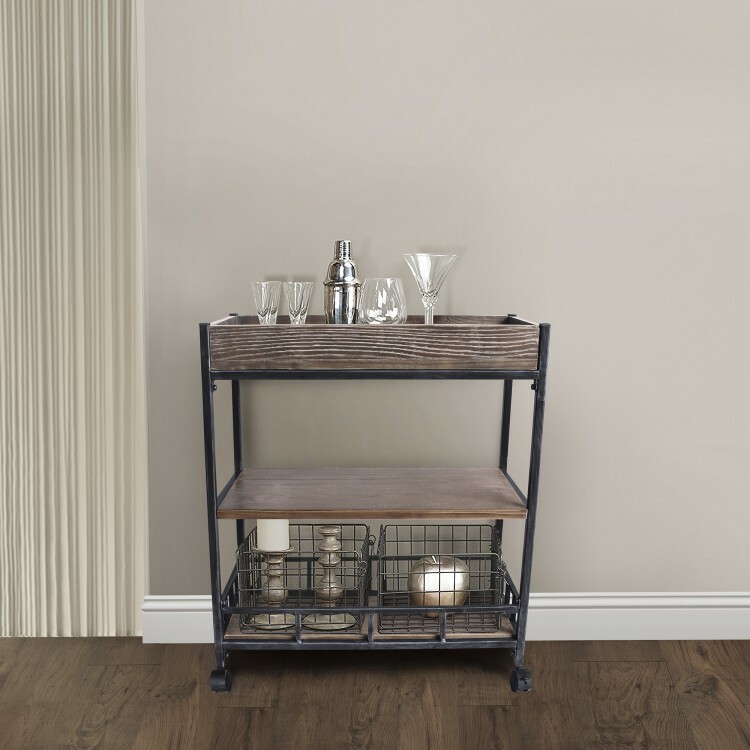 The Niles features a quality Industrial Grey finish metal frame and three beautiful pine wood paneled shelves. 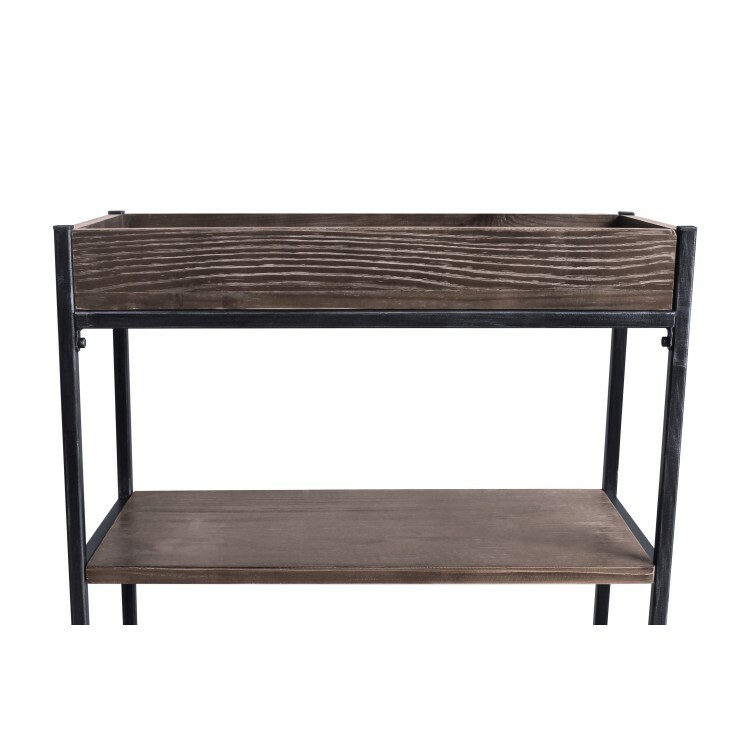 The Niles’ top shelf is ideal for drinks, the middle shelf is perfect for foot trays or desserts, and the lower shelf functions wonderfully as a place for dishes. 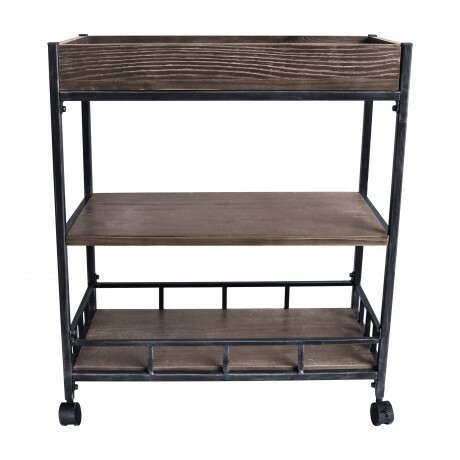 The cart’s convenient handle makes pushing the Niles a breeze, while the locking mechanism on the easy gliding wheels allows you to lock the Niles in place should you need it to remain stationary. The Nile is the best choice for catering large events, but the versatility of this magnificent cart allows it to fit just about all of your needs.